Canine Country Club in Katy, Texas. Finding a toy that your dog LOVES can be a great motivational training aid. Perform the desired behavior and he gets his favorite toy; simple. But have you ever wondered why he likes his favorite toy, and doesn’t seem to care for another, similar toy? Perhaps it’s the color. Can my dog see color? It is a common misconception that dogs can only see in black and white. Dogs do see in color, just not the same range of colors humans see. An experiment was conducted in 1989 at the University of California, Santa Barbara, by Jay Neitz and his colleagues. The dogs in the study were placed in a box facing a display of three round light panels. How Does This Help Me Choose A Dog Toy? A computer randomly selected color combinations. Two of the three lights were always the same color. 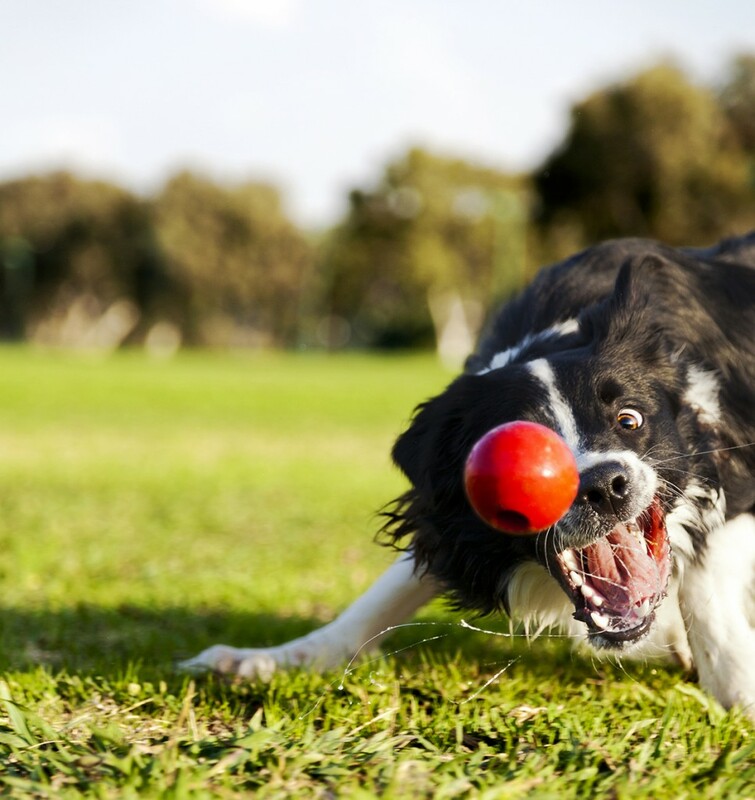 The dogs were taught to find the unique color and touch it with their noses. Every correct choice was rewarded with a dog treat dropped into the cup beneath the light they chose. Wrong choices meant they didn’t get a treat. 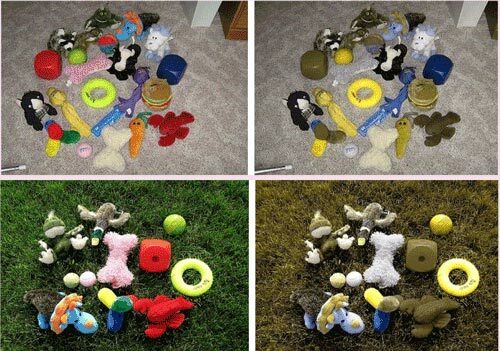 After 4,000 trials with the dogs, researchers concluded that dogs certainly see color. This conclusion was reconfirmed in 1993 by an independent researcher using a sophisticated optometric instrument that measures the individual absorption rates of the cones in dogs’ retinas. Humans are trichromatic, which means they have three classes of cones. Dogs are dichromatic, meaning there are only two classes of cones in their eyes that contain a photo pigment allowing them to see color. Dogs are lacking the cones that can absorb red or green light. Dog toy companies choose colors that appeal to the owner, rather than the dog. Knowing what colors your dog can see will help you choose toys and training equipment that will be the most visible to your dog. As an example of how toys look to dogs, look at the photos below. It is a set of dog toys, of various colors, on grey carpet and outside on green grass. The pictures were then filtered using an online application web developers use to make sure websites are visible to color blind humans. The pictures on the left are normal human vision; the pictures on the right are close approximations of what dogs see. It’s easy to think that red and green are the only colors dogs don’t see, but red and green are actually components of a many other colors. Without red, purple just looks blue and pink looks light grey. Light pink toys show up fine in grass, but are almost completely invisible on the carpet. Green and red are visible on the carpet, but are lost in the grass. On both carpet and grass, blue and yellow toys are the most visible, making them excellent color choices for training toys. If you’d like to read more about the UC-Santa Barbara experiment click here. 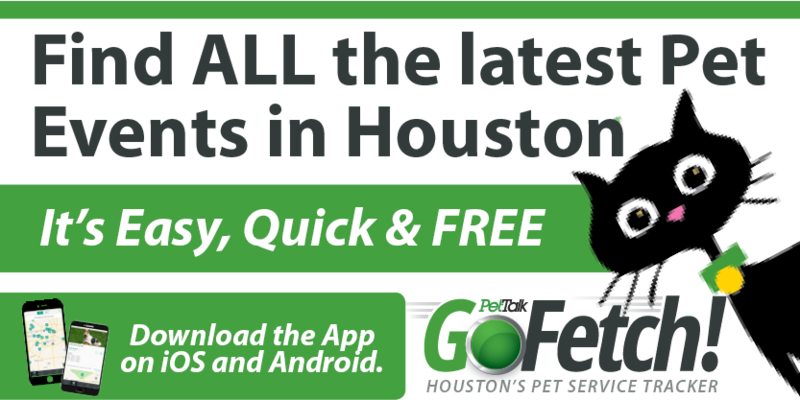 Canine Country Club (CCC) is a full service dog resort and training center that caters to the Katy and Houston communities. At Canine Country Club your dog will receive the love and comfort that they deserve. The luxury dog facility offers professional training services, dog grooming and boarding with amenities that will keep your pet exercised and entertained. CCC prides themselves on maintaining a healthy and safe environment that will serve as a home away from home for your dog. Book your next boarding or training session at Canine Country Club where your dog will have its own vacation while you are away on vacation.